shopspaViolet is Serious Skin Care, Serious Fun: New Research Is Changing The "Face" on Skin Care. New Research Is Changing The "Face" on Skin Care. 1. Cholesterol ? An intrinsic element of the material that bonds our skin cells together and an important ingredient to look for in our skin care, especially by age 40. Glorious when combined with fatty acids and ceramides, which also are like glue for our skin...holds skin cells firmly in place creating a smoother and more radiant appearance. I wouldn't start eating spoonfuls of butter though, research shows eating more cholesterol won't do anything for skin. Try it topically. 2. Relax a wee bit on exfoliating. " We're learning that we have to respect the pH of the skin and it's healthy bacteria," says Whitney Bowe, a New York City dermatologist. " Physical exfoliations, like loofah and gritty scrubs, remove good bacteria from the skin and throws off its pH. That can trigger rosacea or eczema flare-ups and boost enzymes that destroy collagen and cause wrinkles and sagging over time." Mon Dieu ! But......" Most peels are acidic and can benefit the skin by encouraging growth of healthy bacteria," says Bowe, who admonishes weekly or twice-weekly salicylic, glycolic or lactic acid peels. 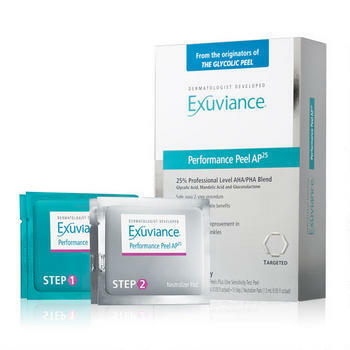 Try Exuviance's at home Performance Peel AP25. 3. Start Moving. In one study those between 20-86 who exercised at an increased intensity had skin that looked and acted younger. And the good news is, it's not too late to start. Former couch potatoes who began moderate exercise 2X a week for 45 minutes had a change in their skin. The study showed that regular and intense exercise devotees had thin inner stratum corneum layers and energetic mitochondrial cells. So get that heart rate up ! 4. Peptides Please. We know about putting peptides on our face, but now it seems we should be popping peptide pills as well. 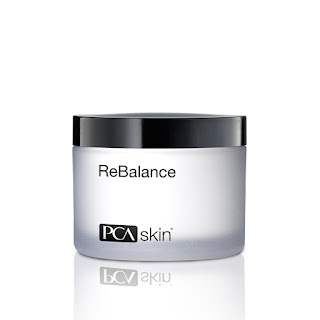 Peptides are one of the few in skin care that works on the outside and the inside. A study in Skin Pharmacology and Physiology shows women who ingested a 2500 milligram collagen peptide supplement every day for 8 weeks manifested a 20% reduction in wrinkles around the eyes, a 65% increase of procollagen type 1 and an 18% increase in elastin. Just a resplendent way of saying less wrinkling around the eyes. 5. Chill On The Hot Yoga. " We used to think UV rays were the main culprit for melasma, but data is indicating that invisible light and heat may cause dark patches too," says Doris Day, a clinical dermatologist at New York University Langone Medical Center in New York City. In addition to using your daily SPF, perhaps add a product that calms skin and regulates temperature like Colorescience's Skin Calming Face Primer SPF 20 or Rebalance by Physician's Choice. 6. Change It Up. Who says you can't use something thick and wonderful under eyes, a salicylic or glycolic on your T-zone and something hydrating on lips. OR retin-A on your forehead , neck and jaw line and something to minimize redness on the bridge of nose, cheeks and chin. The rule is there is no rule. 7. No " Puffer Fish Face. " Bones in your face do shrink and therefore contribute to a sagging and flat appearance. Now dermatologists are finding that injecting fillers deeper onto the top layer of bone, instead of in wrinkles is reversing some bone shrinkage. And therefore alleviating that " blowfish face." 8. You Gotta SPF. Sunscreen is even better than we thought. A study sponsored by Johnson and Johnson found that those using a moisturizer with only a SPF of 30 and nothing else ended up with an improvement in skin tone by 52%, texture by 40% and clarity by 41%. By nothing else, I mean nothing else....no Retin-A, AHA's or lighteners. So sunscreen may actually not just prevent aging, it may reverse aging.